We put this wine on the tasting table Monday, which, not coincidentally, was Opening Day for Moore Brothers as a host site for the LFFC CSA. 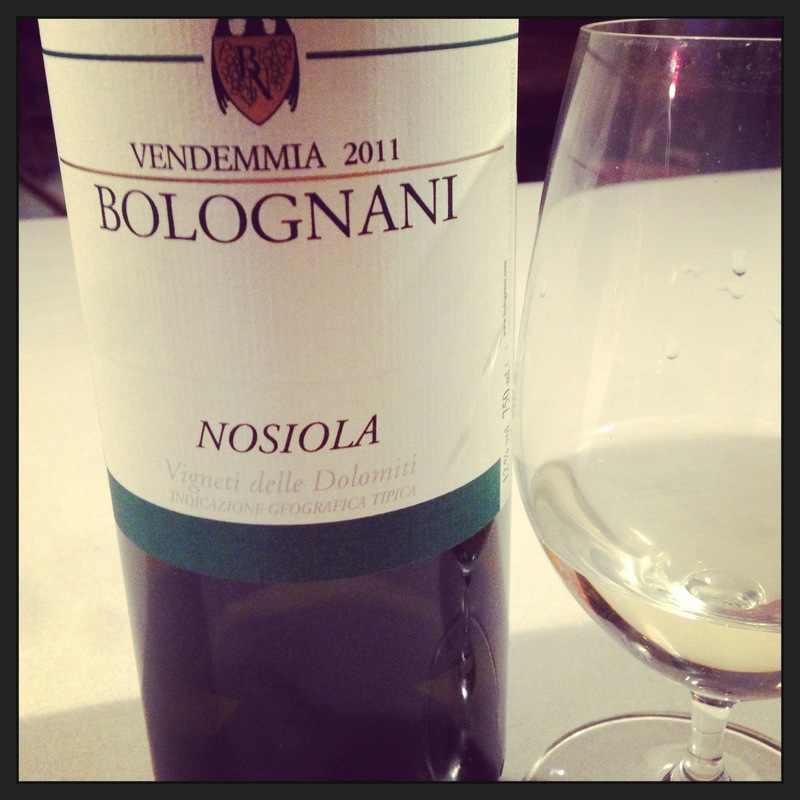 I chose Diego Bolognani’s Nosiola precisely because it’s worked well for me in the past with leafy, tannic greens, and I knew our boxes would be full of cool-weather spinach and kale for these first few weeks of the season. ‘Most any northern-climate white will serve you well in that situation – think Riesling, Veltliner, Silvaner, Pinot Gris/Grigio – but this obscure bottle from the Italian Alps is a particular favorite of mine. Fuller weight than most other mountain wines, Diego’s nutty, citrusy Nosiola is from the heart of speck and apple country (from the Südtirol roadside, you see as many espaliered orchards as you do vineyards), so try it alongside a spinach salad with warm bacon dressing, red onions, and slivered apples or pears. Or make a vinaigrette subbing in walnut oil for a portion of your usual oil, topping either spinach or shredded young kale with crumbled cheese and toasted walnuts. 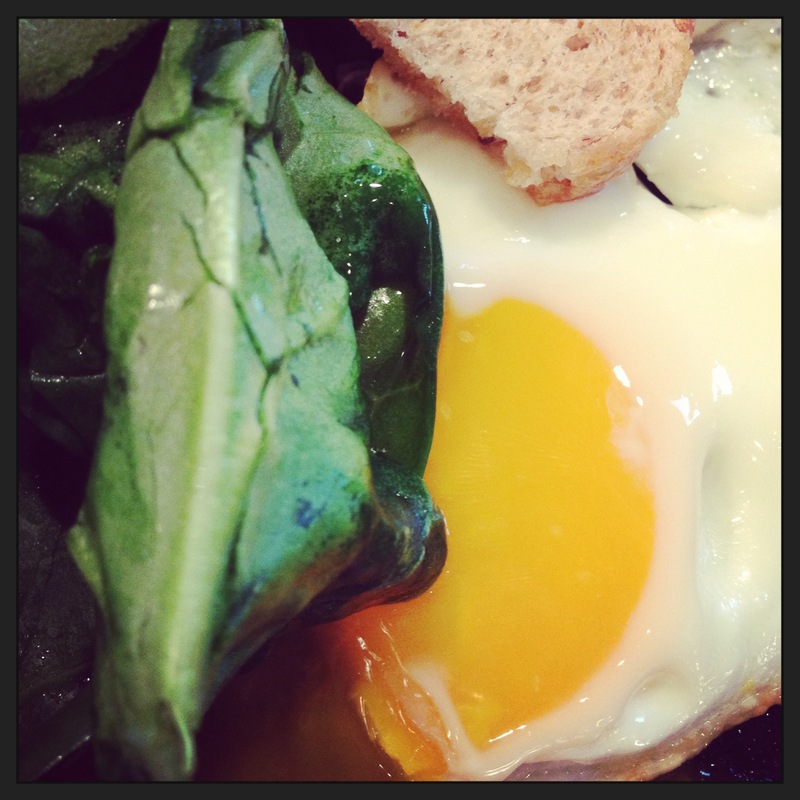 Late last night, I rendered a small hunk of PorcSalt bacon, wilted a spinner-ful of spinach in the drippings, and slid on a couple of sunny-side eggs (also from the CSA). A glass of wine and the Blackhawks on TV made it dinner, not breakfast. Not that there’s anything wrong with breakfast for dinner.